“It’s Dylan,” I told him. “I want Kick Drum Heart,” he assured me, and began to pout. What occurred to me was the fact that it had clearly been years since I’d listened to Dylan in any sustained way. The release of Another Self Portrait was what had started this whole conversation, but it had also made me realize how long it had been since I’d listened to any early-1970s Dylan recordings. Another Self Portrait made me think I should re-examine that era. 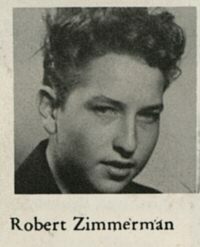 That thought led me to think I should re-examine Dylan as a whole. Which led me here. Last January I had dinner in Paris with my friend Fredrik, who told me he was spending 2013 listening to The Beatles. He had never particularly paid much attention to them, he told me, and so now he was going slowly through their history – the original mono recordings, remastered versions, alternate takes. Immersing himself in The Beatles. I thought I’d do the same with Bob Dylan. Unlike Fredrik, I do have a past relationship with Dylan. When I was a teenager in the 1980s I was a serious fan, buying up his back catalogue on vinyl. I recall the Christmas that I got Biograph from my grandparents and listened for the first time to some of the alternate takes and rarities found on that collection. I remember a few years later buying the Zimmerman: Ten of Swords bootleg collection from a record store in Burlington that has long since disappeared. It was the most money I had ever spent on anything. I’ve seen Dylan perform live about two dozen times in a number of cities, but I’ve been lax about seeing him lately. In the thirteen years I’ve lived in Calgary I’ve only gone to see him once. In a lot of ways I considered myself a former Dylan fan, and while I still listen to bands that are strongly influenced by him (like the aforementioned Avetts), I wasn’t the type of person who rushed out to buy his new releases straightaway. This is the year that I’ve decided to come to terms with Bob Dylan. 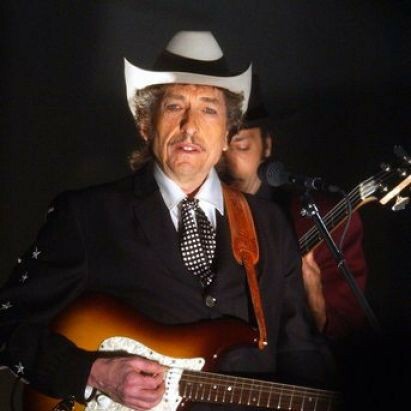 2014 is the fifty-second anniversary of the release of his self-titled debut album in 1962, and I plan to listen to a year’s worth of Dylan recordings every week for the next fifty-two weeks – never skipping ahead. Each new year will begin on a Sunday (1962 on January 5; 1963 on January 12) and will last one week. I’ll be listening to the studio albums, to some bootlegs, and to some live concert bootlegs. And I’ll be writing about it here. I don’t plan to research Dylan that much, though I have picked up a few books (Robert Shelton, Greil Marcus, Dylan’s own Chronicles) and hope to read them at the appropriate times. I’ve glanced at the Dylanology sites out there and they are, frankly, intimidating. I’m hoping to not go that far down the rabbit hole, although there is no predicting how this all might turn out. Today, I began by listening to the earliest known Dylan tapes – The John Bucklen tapes made in 1958 while Dylan was in high school in Hibbing, Minnesota. I don’t have much to say about these – they’re muddy and brief, and the type of thing that maybe only a very true die-hard would listen to a second time. I’m not there yet. Please feel free to join me on this voyage. I think it should be an interesting year.